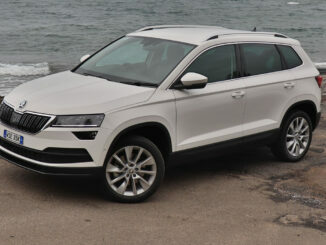 A fantastic five-seat SUV that fits two child seats and has a good size boot. 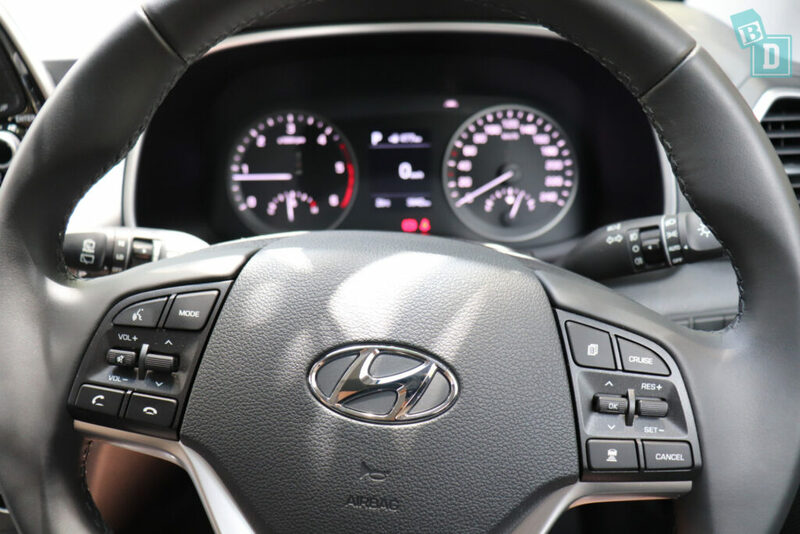 I am a big fan of the Santa Fe, Hyundai's seven-seat SUV, so I was super excited to give their five-seater SUV, the Hyundai Tucson, a test and see how it goes as a BabyDrive! Well, I was halfway home from picking it up when I realised I hadn't had to think about anything! It is such a get in and go car, a no-brainer! All the dash and driving controls were easy and required little thought or concentration. Which I find great for saving my attention for driving and little passengers. I'm going to start by telling you the two things I didn't like about the Tucson and then the rest was great, I couldn't fault! Number one the rear view mirror vibrates constantly on motorway driving so you can not see clearly at all and was a little bit like my vision when I have a migraine! It was so bad that I found I had to point it at the ceiling so as not to distract me on the motorway. 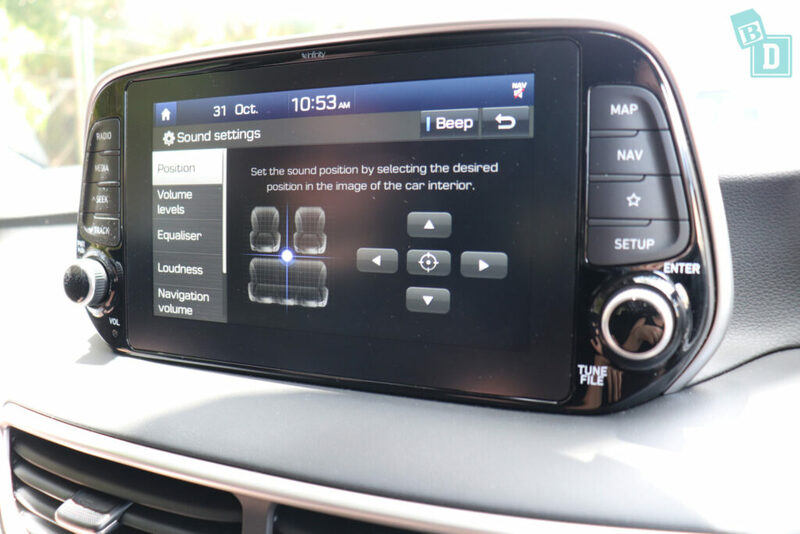 Secondly, the parking sensors were not quickly mutable as this option is within the screen settings in front of the steering wheel, where you can turn it down to number 1 which is nice and soft. There is no quick button to press in the central console though. There are three top tethers in the seat backs that are easily accessible through the boot and within clearly labelled, plastic guides. 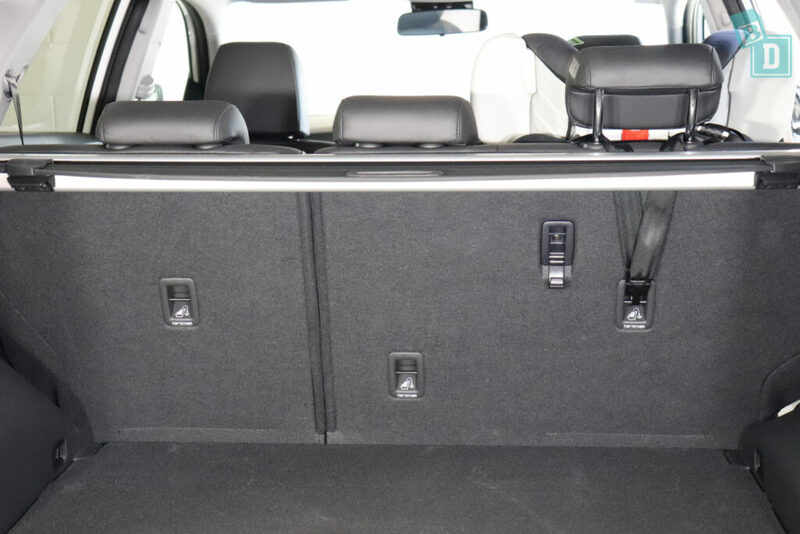 The ISOFix points are in the two outer rear seats, and although they are not within plastic guides I still found them easy to connect to. 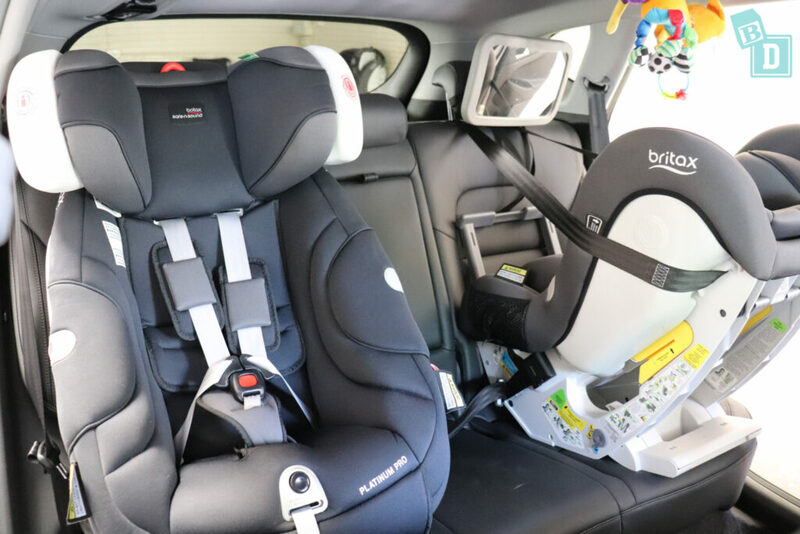 I found I could only fit two child seats in the back of the Tucson, but on the upside a 180cm passenger could travel in front of a rear-facing child seat with plenty (23cm) of knee room. Storage was quite good inside the Hyundai Tucson; the door bins were all well-sized to hold a large refillable water bottle, the cup holders in the front and back are practical and hold a reusable and disposable coffee cup and the front one and door bins will all hold a large refillable water bottle too. The central console box is a good size and although the glove box is not big enough to hold an iPad, it does have a cooling vent. The rear map pockets are net rather than solid fabric so anything you put in them will be visible. 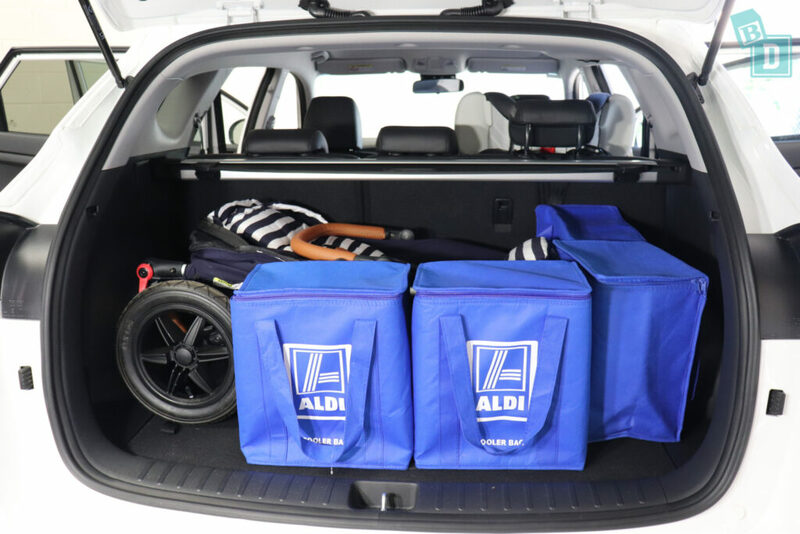 Boot space in the Hyundai Tucson is goo as well. You could transport a medium-sized dog and my twin, tandem or single strollers each fitted in the boot with space left for a few shopping bags. The boot floor was nice and flat, suitable for an emergency nappy change and there is a single shopping bag hook on the back of the right-hand seat in the boot. 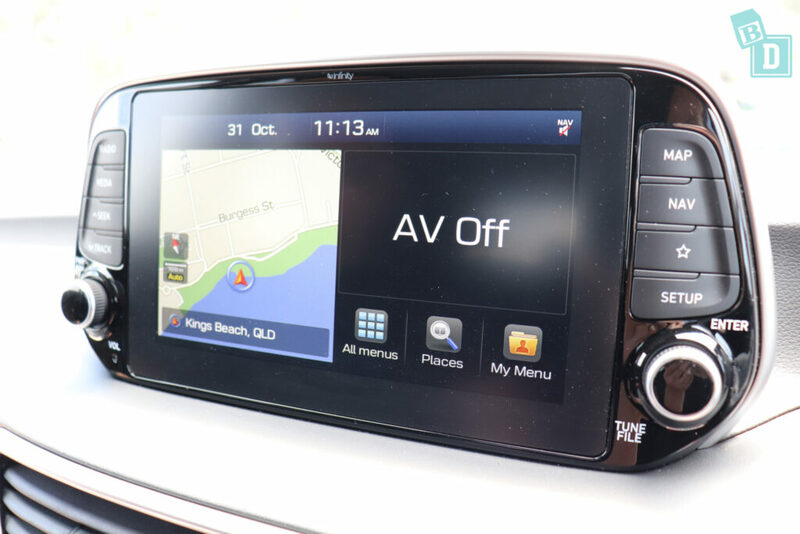 The media system is fantastic in the Hyundai Tucson, especially as it includes Apple Car Play and Android Auto. It is really simple to connect your phone to and all the functions are easy to use. I love the sound screen in the Hyundai system where you can drag and drop where you want the sound to be positioned. I find this a nice and simple way to move my daughter's nursery rhymes away from my ears!! The reversing camera has a really good, clear quality image but as I mentioned earlier, you can not mute the parking sensors simply. There is no button on the screen or in the central console; the only way I could find was through the screen in front of the steering wheel, which takes a few seconds, and several baby waking beeps, to change! I found the Hyundai Tucson a great car to drive, it is smooth, comfortable and so easy! For a family of four, it really is a great little BabyDrive. The Hyundai Tucson scored a five-star ANCAP safety rating in 2015 and has six airbags as standard. 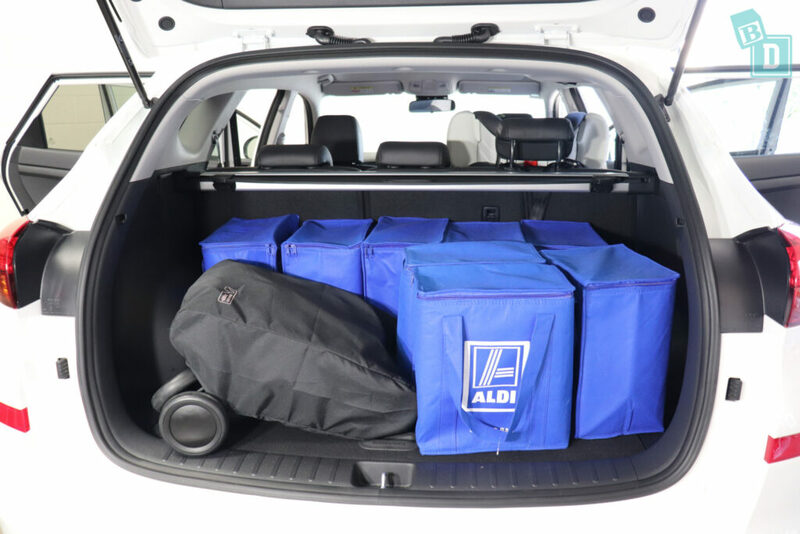 So… How big is the boot of the Hyundai Tucson? From empty I could fit a medium sized dog or 12 shopping bags in the boot, which is the same as the Kia Sportage and one less than the Mazda CX-5. 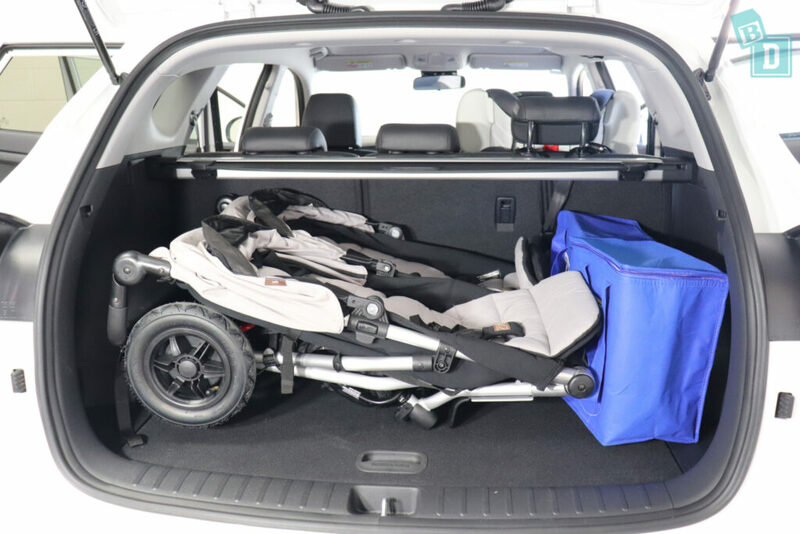 The Mountain Buggy Duet twin stroller fitted with two shopping bags beside it, which is one less than both the Kia Sportage and the Mazda CX-5. The Mountain Buggy Nano compact stroller fitted with 8 shopping bags beside it. 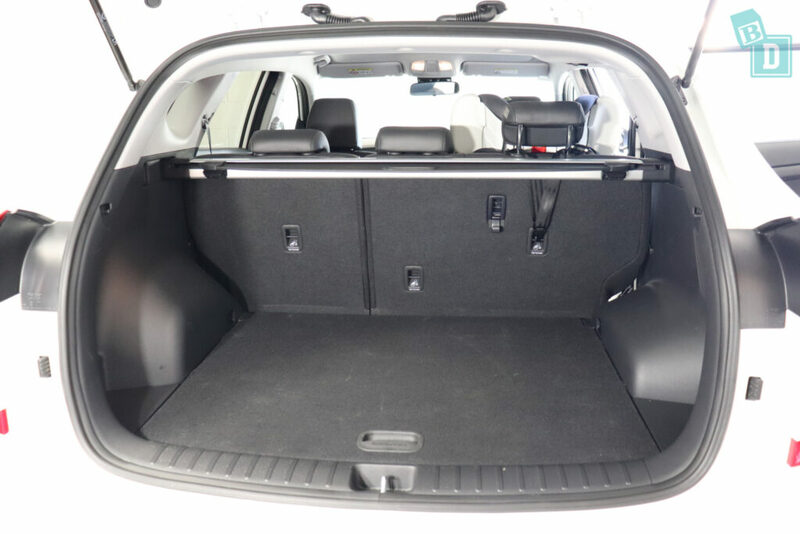 The floor of the boot is nice and flat and carpeted, perfect for an emergency nappy change and the two indents behind the wheel arches are great as little nooks for things you don't want moving about in the boot. The retractable roller blind was light and easy to use. Storage in the cabin quite good. The front door bins are quite a good size, they will hold a large refillable water bottle and an iPad. 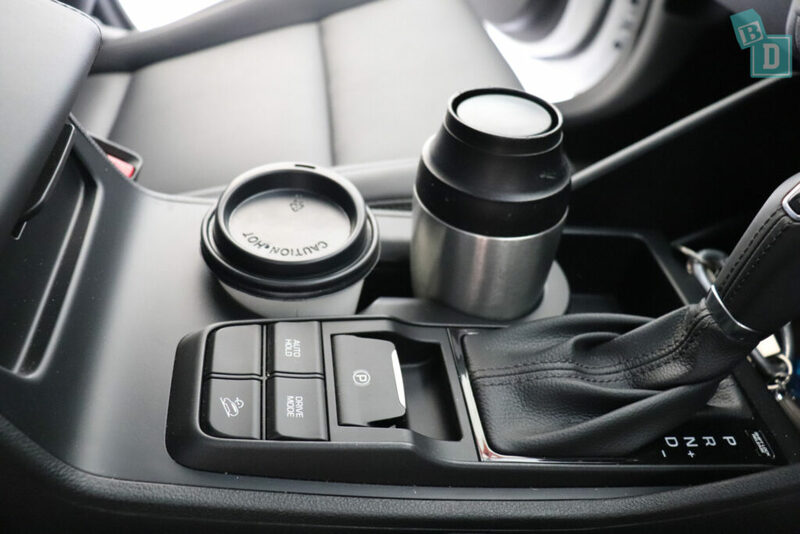 There are two cup holders in the central console, they held a reusable and disposable coffee cup and a large refillable water bottle fits in the rear cup holder. 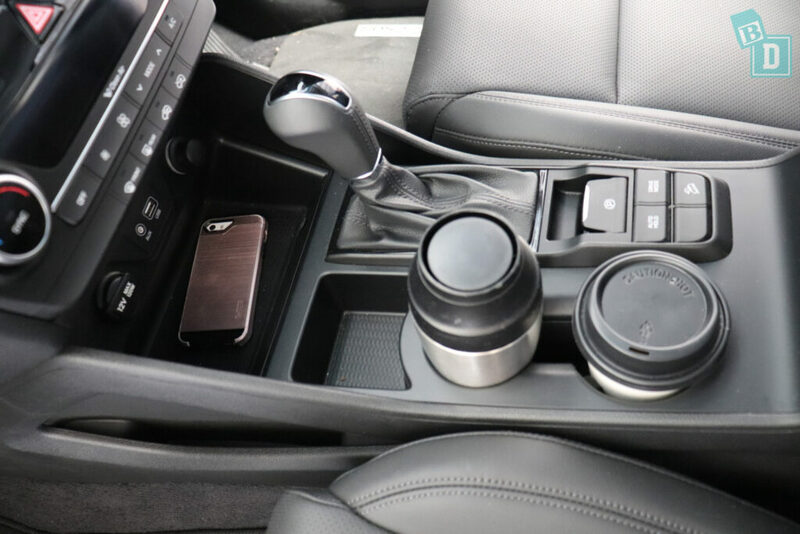 In front of them is a little well and in front of the gear lever is a rubber-lined tray that would hold my phone and has a 12V, AUX and USB socket in here too. 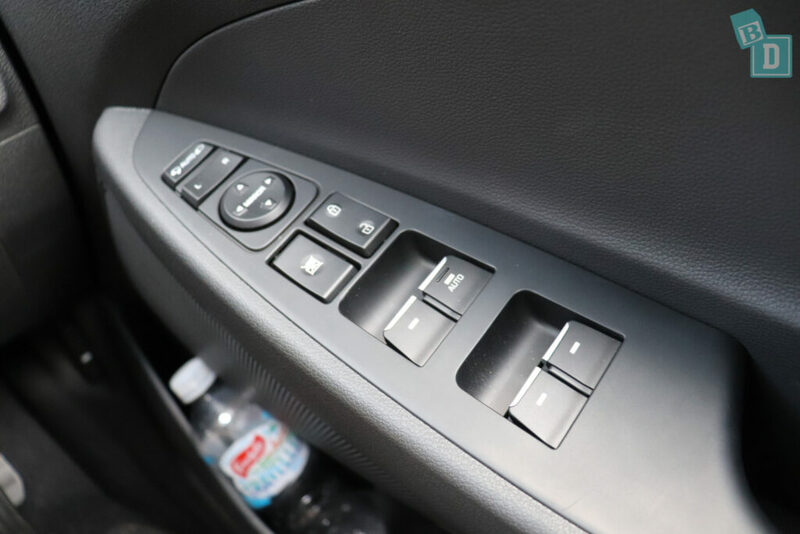 There is also a thin storage groove down the side of the central console in the footwell. 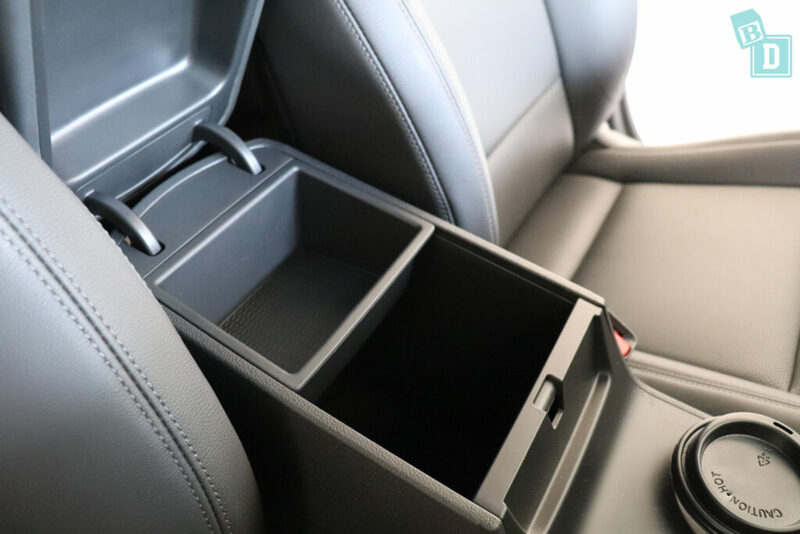 The central console storage box is practical in size and has a tray in the top. 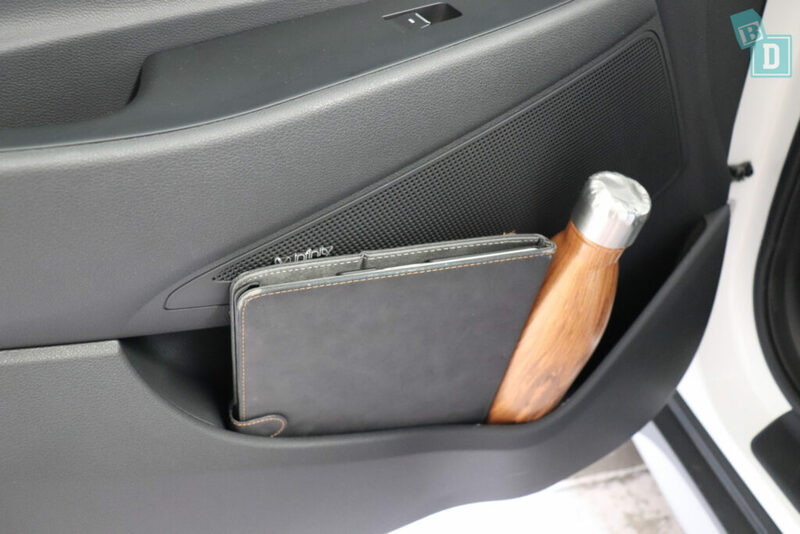 The glove box is only big enough for my wallet with the manual but it does have a cooling vent in it, great for carrying snacks around. 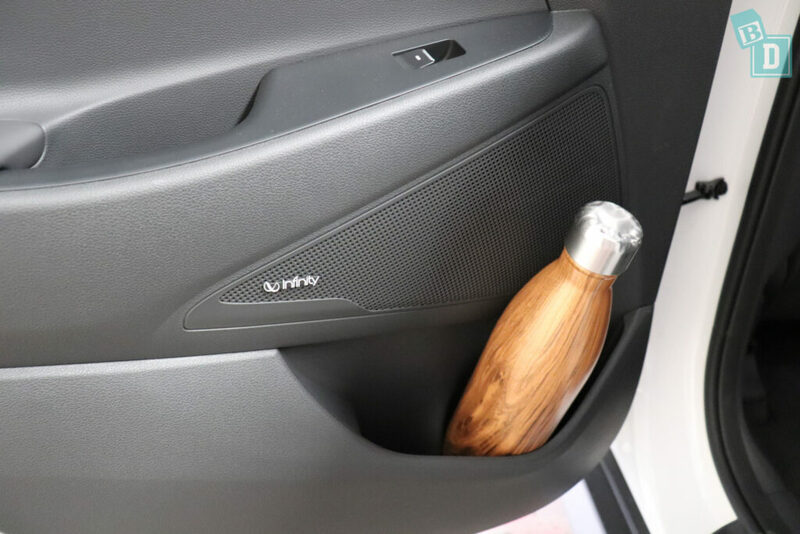 The doors all have little storage wells in them where the handles are, which is a great BabyDrive feature. I find them really useful for putting keys or whatever my daughter has in her hands when I am loading her into the car. 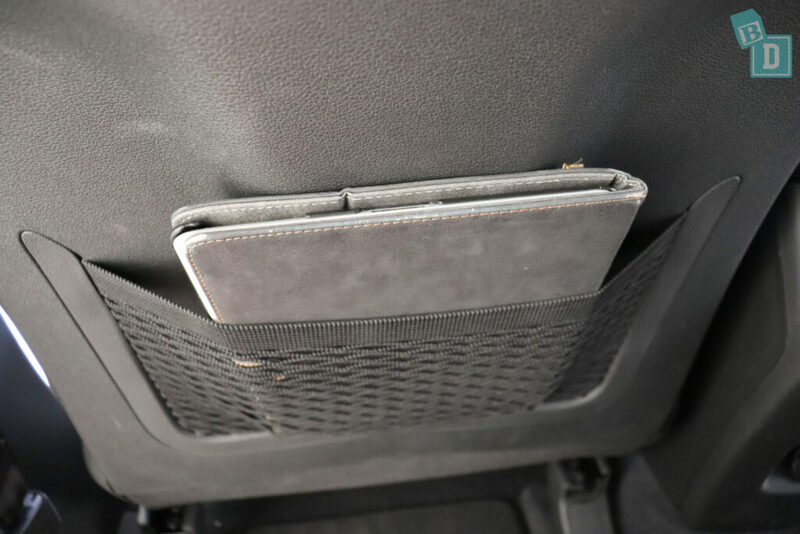 In the back there are net map pockets in the back of both front seats that will hold but not conceal an iPad. 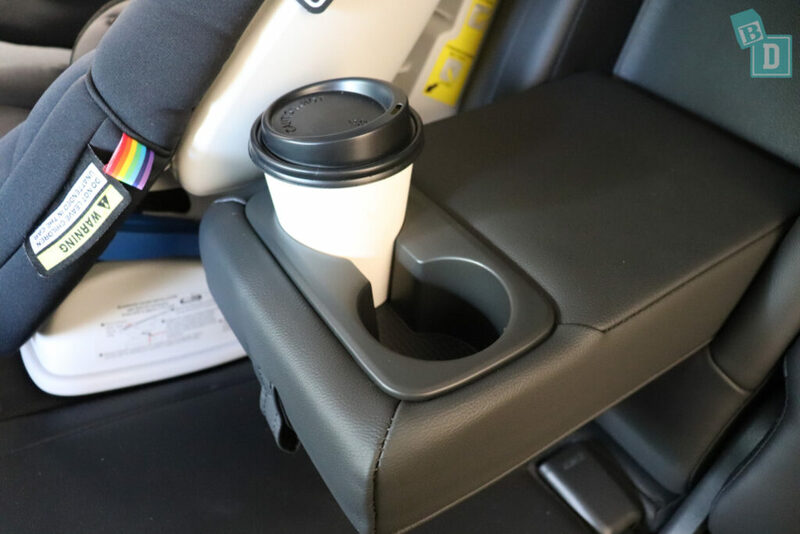 In a fold-down armrest in the central seatback are two good sized cup holders. They would hold a re-usable or disposable coffee cup. The door bins in the back are not as big as in the front but they will hold a large refillable water bottle. 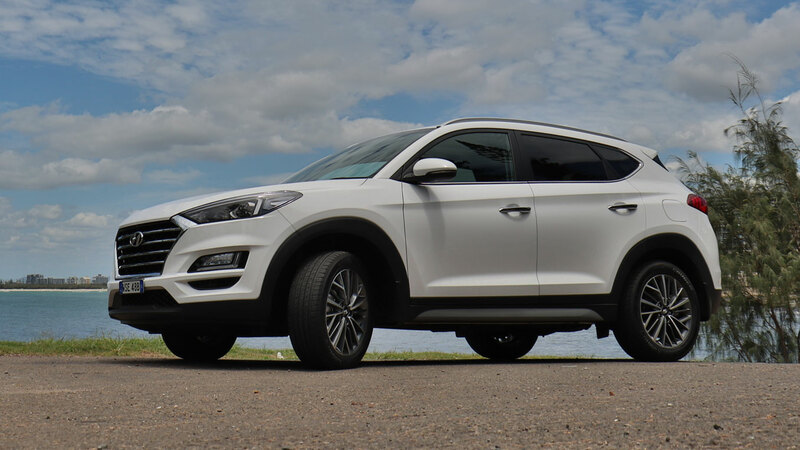 So… How noisy is the Hyundai Tucson? 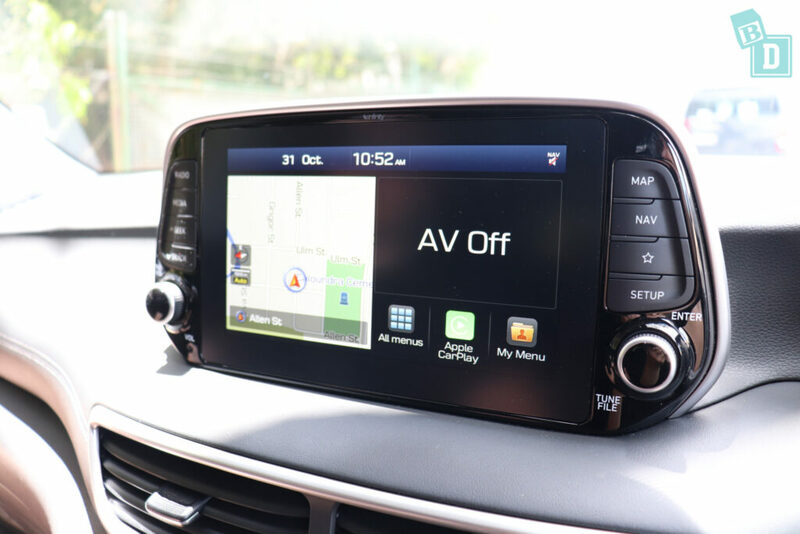 The Hyundai Tucson has a really nice media system that has sat-nav built in as well as Apple CarPlay and Android Auto and I found it easy to connect my phone. Also, it played my daughter's nursery rhymes from my phone straight away when I plugged in my phone and started the car. 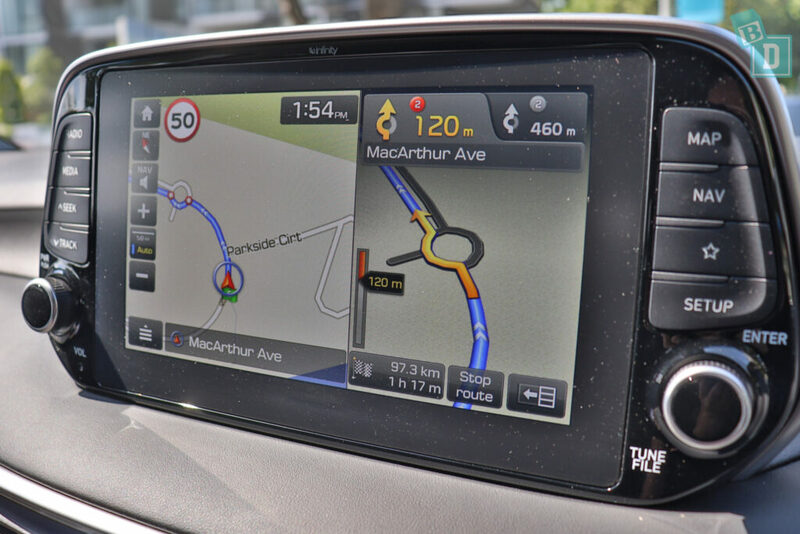 The inbuilt sat-nav is really simple to use and you can mute the guidance volume with a button on the left side of the screen or you can change the volume up and down nice and easily. The reversing camera image is crisp and clear, though I only found the sensor noise could be adjusted in the menu in the screen in front of the steering wheel which is time-consuming and not as fast a pressing a button on the media screen or central console. When it is on setting 1 it is nice and quiet. 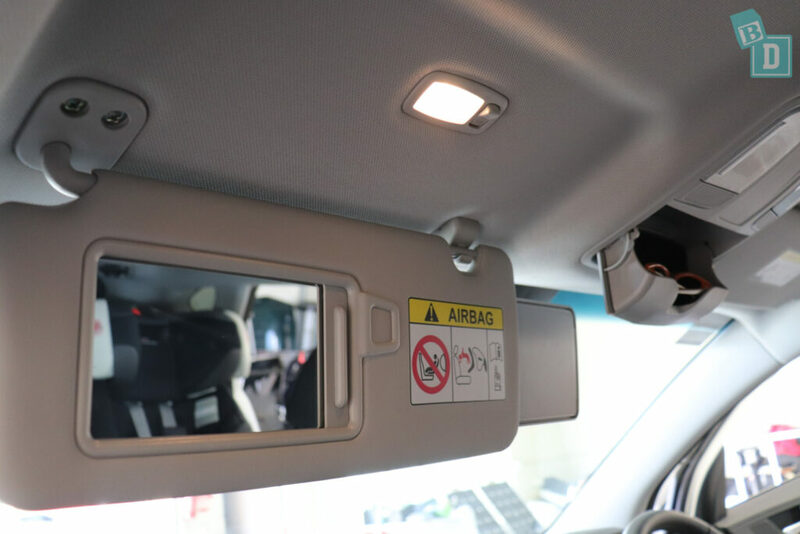 There is blind spot monitoring in the wing mirrors which flashes up a light in the mirror and a there is a vocal tone if you try to change lane when something is beside you. This can be turned off with a button by your right knee. 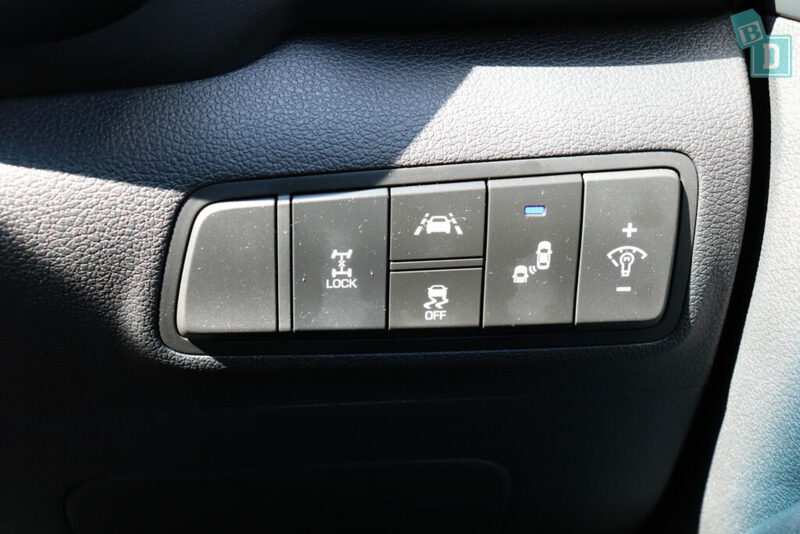 There is also lane keep assist, this can be turned off with a button by your right knee, it alerts you with a nice quiet alarm, flashes up a light on the screen to alert you and will gently steer you back into the lane as well. 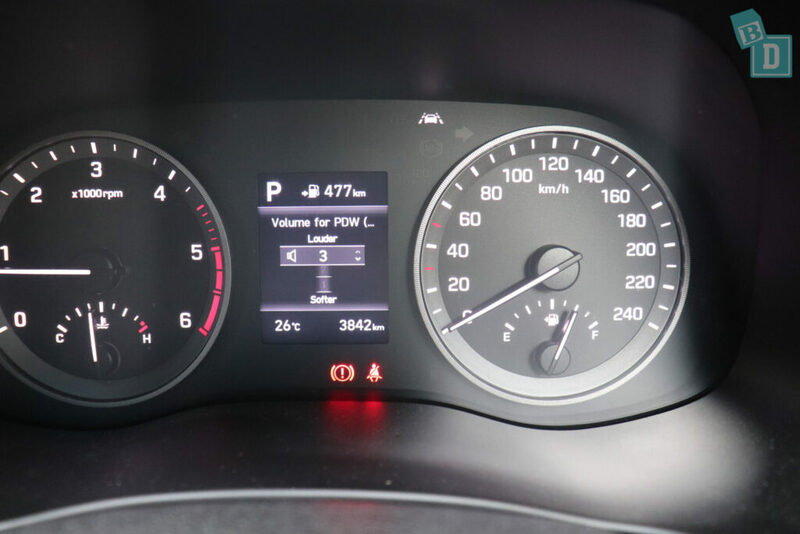 The indicators are nice and quiet in the Tucson and would not disturb a sleeping passenger. The doors and windows are really nice and quiet to open and close. They can both be locked from the driver's door control panel. I found you can come to a stop with the engine still running and get out of the car without sounding any alarms. The seatbelt removal alarm makes a nice quiet beep and a light alerts you on the dashboard too. 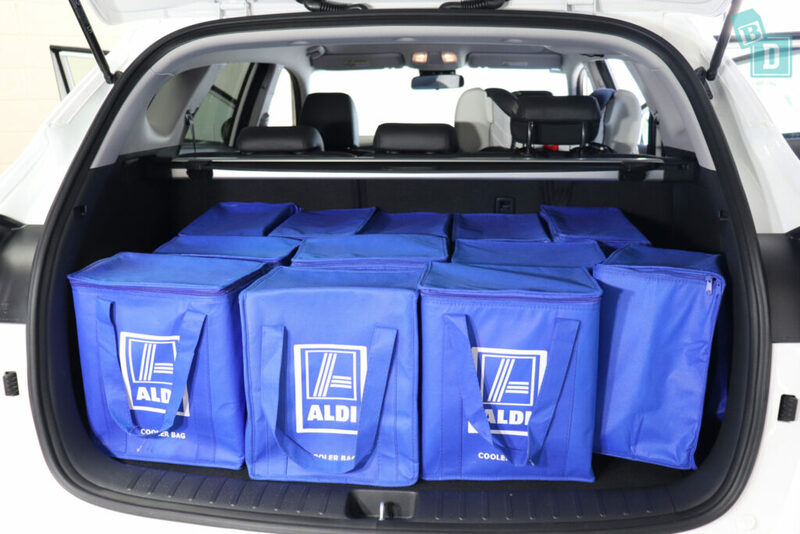 So… How many child seats fit on the Hyundai Tucson? 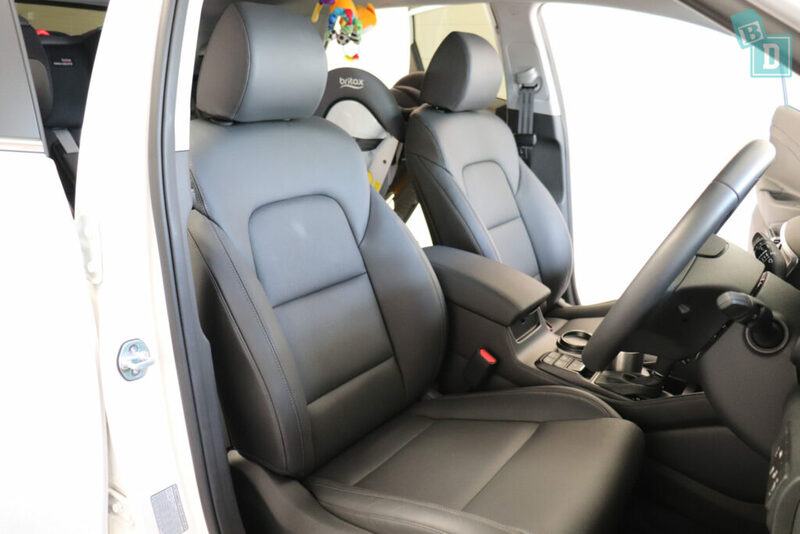 The two outer rear seats have ISOFix points that are nice and easy to connect to when installing the child seats. I could only get two child seats in the back of the Tucson as there just was not enough room to get three across. The two fit nicely using the ISOFix and top tethers. I fit the Britax Graphene (rear facing) and the Britax Platinum Pro. 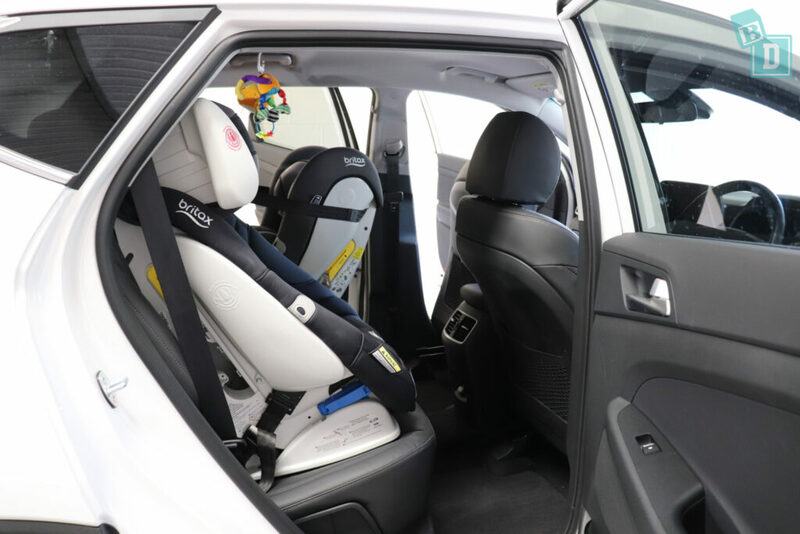 Posting bub into their child seat from inside and outside the car is really nice and easy in the Tucson. The ceiling is high, making it easy from inside and there are lovely big open doorways that give you plenty of room for posting bub in from outside. There is room to feed bub in the back if you only have one child seat installed. The seats are upholstered with black leather fabric which is perforated in the central panels which would be hard to wipe clean as crumbs and spills would get stuck in the holes. 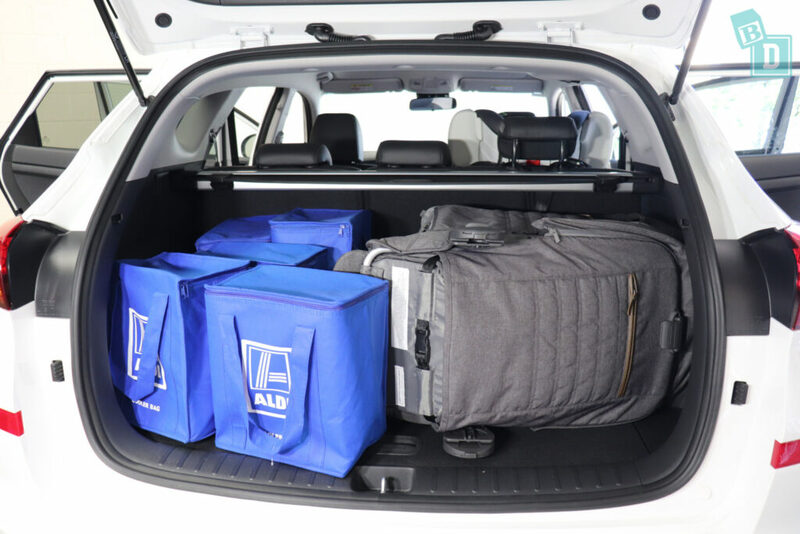 So… How comfortable is the Hyundai Tucson? And How good is the Hyundai Tucson to drive? 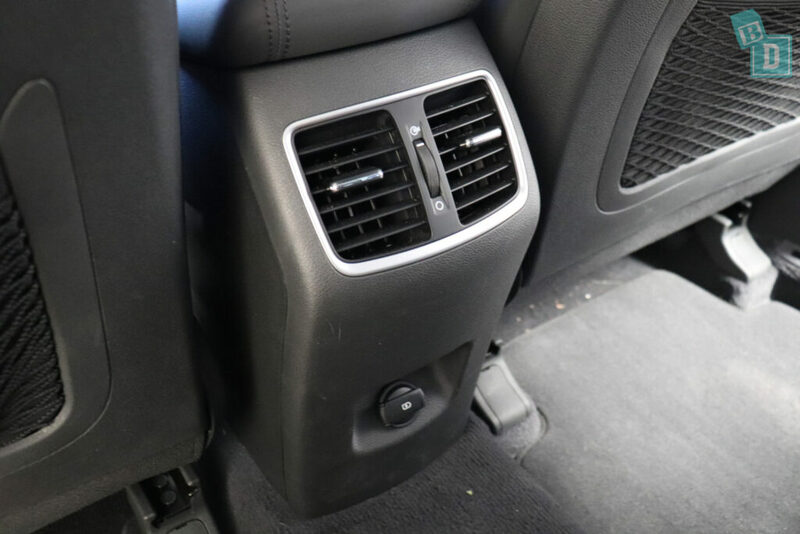 In the front of the Hyundai Tucson, the seats are nice and comfortable and have the electric adjustment on the side. They are black leather but are perforated in the central panels which makes cleaning them much more difficult. The headrests are not adjustable in all directions but I could still wear a ponytail! For a mum travelling in the back with bub, the seats are comfortable and there is ample headroom. The central seat is slightly raised and there is a small hump in the footwell in the middle but it was not too bad to rest your feet on or to straddle. The seats are comfortable but you can feel the hard central backrest because of the fold-down armrest with cup holders. 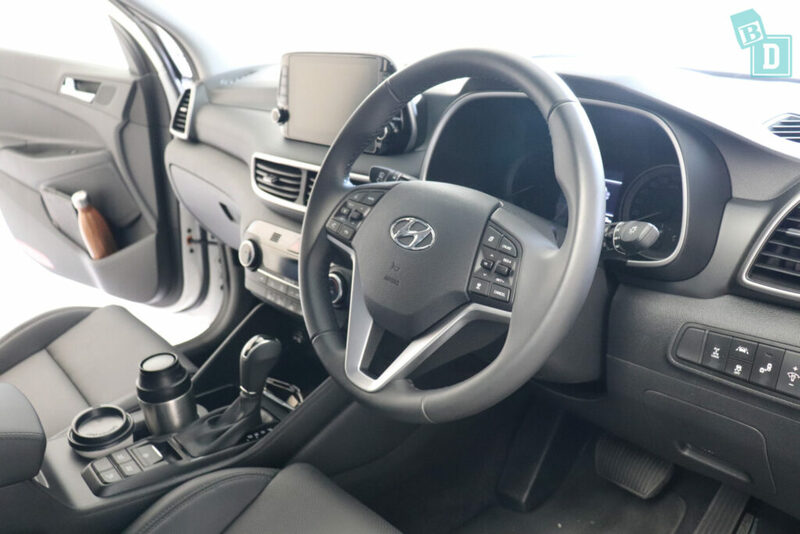 The cruise controls are on the right side of the steering wheel, they are nice and easy to use and the cruise control was relatively accurate at low speeds on undulating roads as well as on motorways. 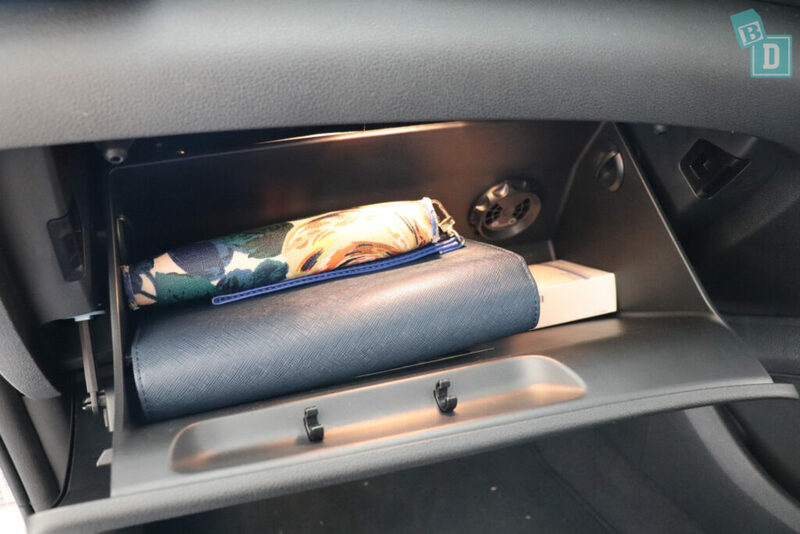 There are rear air vents in the back of the central console box that is easily reachable from the front while driving and there is a 12V socket charging point for rear passengers too. 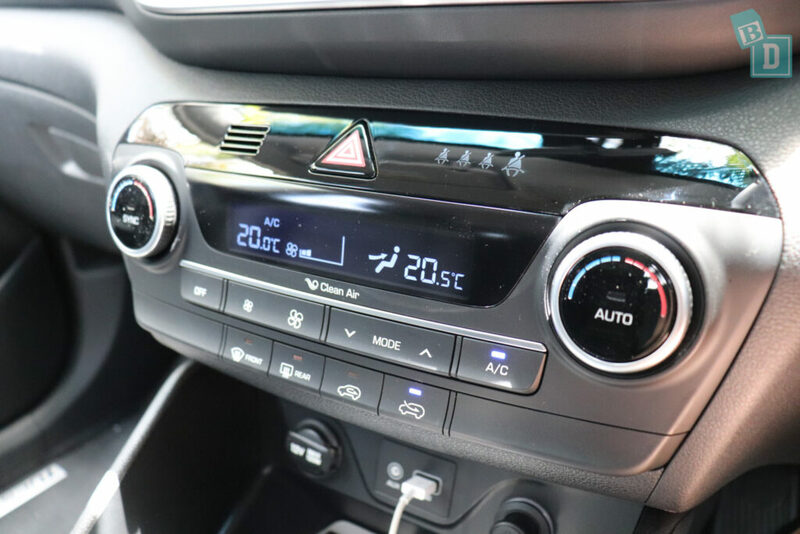 The controls for the aircon are clear and easy to use while driving and are located on the central dashboard. There are lit vanity mirrors in both visors in the front and the visors are extendable too. There is also a glasses case in the ceiling. The interior light in the back is in the ceiling but too far back so I can't reach it from the driver's seat while driving! 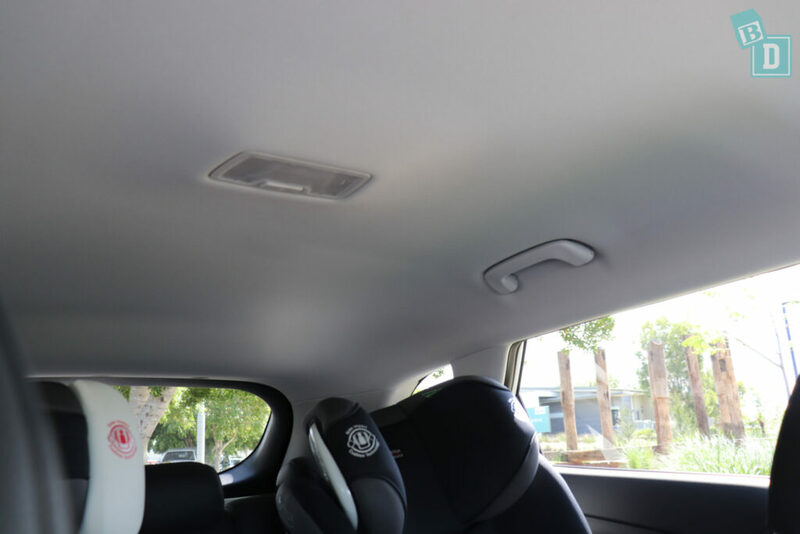 Visibility in the back of the Tucson for rear-facing passengers is slightly compromised as the windows go up slightly towards the back of the car. Visibility for the driver is affected by having the two child seats in the back, particularly out of the back and sides, but it is still lovely and bright inside and using the mirrors and camera parking was fine. One thing I have noticed since being a mum is I hate it when I reach a destination or get home from being out and Tulsi has either done really well in the car or she is screaming her head off and I have done really well to keep it together for the entire journey (usually the latter!!) and it takes 10 minutes to park the car! It can be really stressful. Usually I dread parking new cars as they take longer in our tight apartment block carpark, but the Tucson was simple to park as it's a small SUV and the camera is so good! The Hyundai Tucson is a no-brainer car! Very simple and easy to use, comfortable, practical and great to drive around town and on the motorways only the engine was a little revvy going up steep hills. The Tucson interior is practical without feeling basic, it is a pleasant interior to be in. 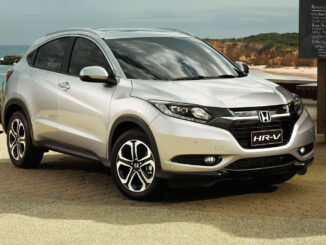 It is a comfortable and great car for both long road trips as well as the everyday school and daycare run. 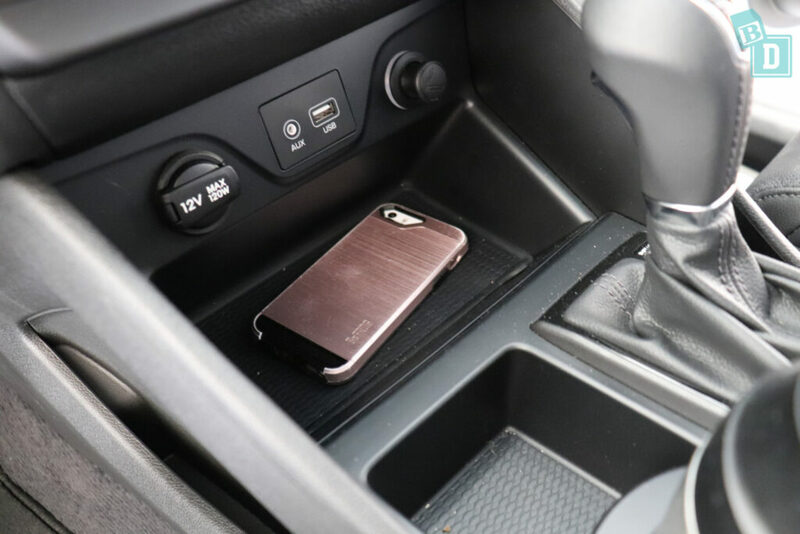 All the interior dash and door surfaces are either plastic, leather, pleather or rubber so would be easily cleaned and there are carpet floor mats throughout the model I tested. 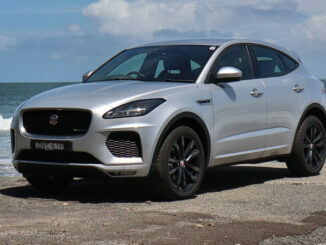 The Tucson Elite I tested had keyless entry but not a powered tailgate. 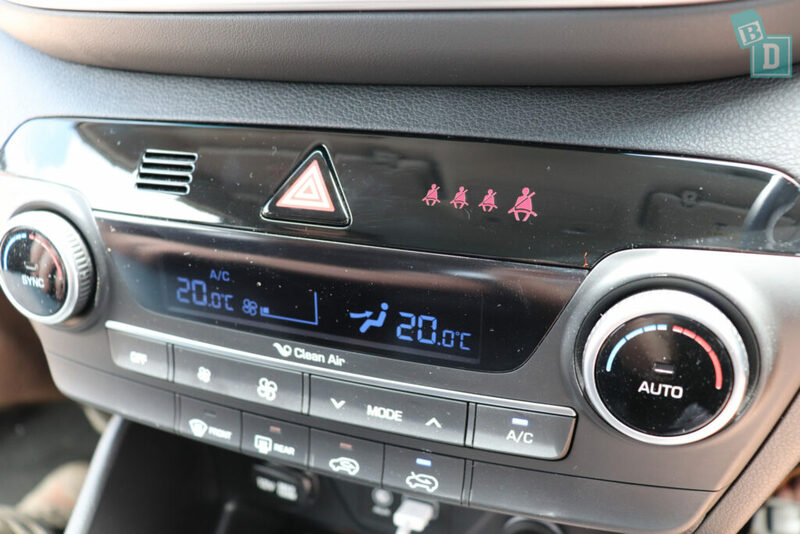 So… How safe is the Hyundai Tucson? The 2018 Hyundai Tucson was given a five-star ANCAP safety rating. It scored 35.53 out of 37 overall. 14.53 out of 16 for the frontal offset test and full marks for the side impact and pole tests and pedestrian projection was rated marginal. Six airbags come as standard; there is dual frontal, side chest and side head airbags (curtains). As well as anti-lock braking system (ABS), brake assist system (BAS), daytime running lights (DRL), electronic stability control (ESC) emergency brake assist (EBA) emergency stop signal hill launch assist, electronic brakeforce distribution (EBD), downhill brake control (DBC), hill-start assist control (HAC), traction control system (TCS), vehicle stability management (VSM), antilock braking system (ABS) SAutomatic headlights, reversing collision avoidance, rollover warning, emergency stop signal (ESS) and impact sensing auto door unlock. The three top specs, Elite, Special Edition and Highlander, also have blind-spot collision warning (BCW), driver attention warning (DAW), forward collision-avoidance assist (FCA) – car and pedestrian, high beam assist (HBA), lane keeping assist (LKA), rear cross-traffic collision warning (RCCW), smart cruise control (SCC) with stop and go.